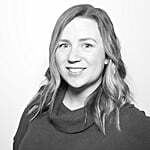 I'm a walking cliché of someone who is obsessed with Fall: I love layering sweaters and scarves, practically live in my riding boots, and eat and drink everything that's pumpkin-spice-flavored. (I even dragged my husband to a sad little pumpkin patch in the middle of Queens one October, but that's a tale for another time). The problem with indulging in all the treats of the season, however, is that they're usually packed with sugar and calories. Take Starbucks' Pumpkin Spice Latte for example. If you order a traditional Grande how, made with whole milk and whipped cream, the drink contains 420 calories, 18 grams of fat, 52 grams of carbs, and 50 grams of sugar — yikes! And while there are ways to make it healthier, that's still a lot of sugar for a breakfast beverage. Consuming that much sugar first thing in the morning is sure to spike your blood sugar, only to make it crash by mid-morning, leaving you with hunger pangs and craving more simple carbs. Since I love the flavors of pumpkin spice, especially in my coffee, I have found a simple way to make it healthier. 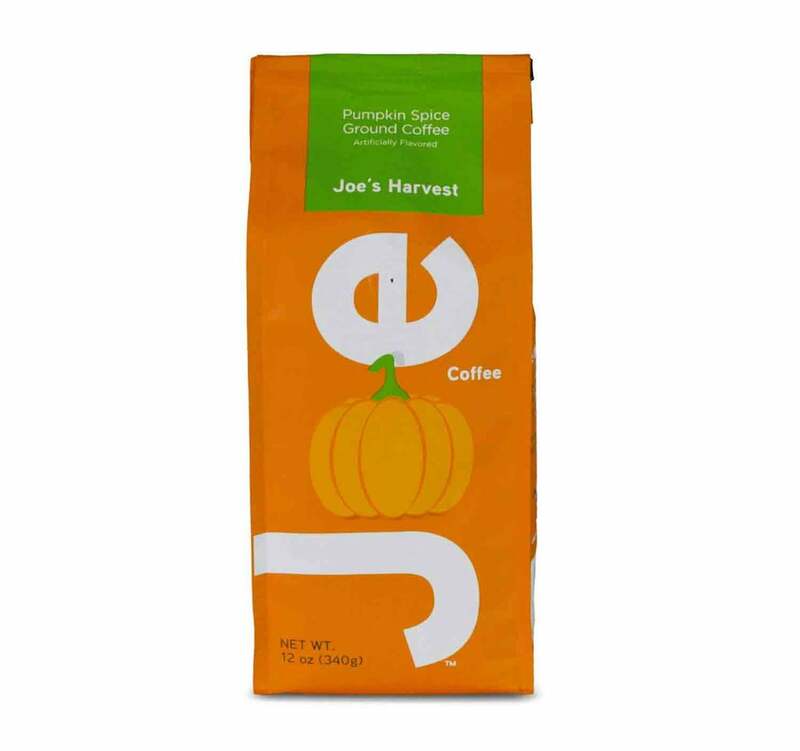 I start with pumpkin-spice-flavored coffee grounds, such as Joe's Harvest Pumpkin Spice Coffee ($10 for a 12-ounce bag on Amazon). 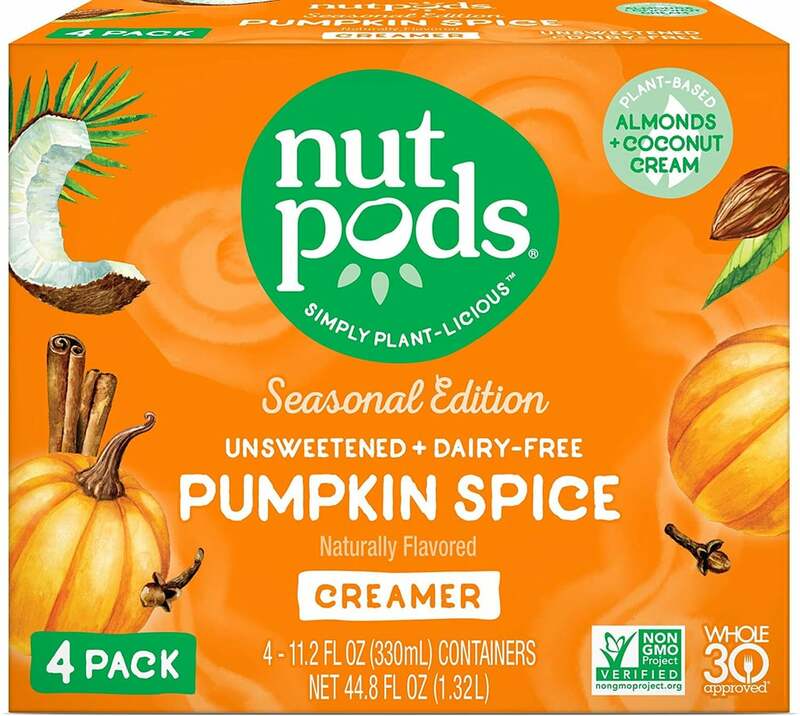 Instead of whole milk or my beloved unsweetened almond milk, I add another punch of pumpkin spice flavor with Pumpkin Spice Nutpods ($15 for a four-pack on Amazon). When I did Whole30 a couple years ago, Nutpods were a life-saver: they're sugar-free, dairy-free, and made with coconut cream and almond milk, which means they are Paleo, Whole30-compliant, and keto-friendly. The Pumpkin Spice Nutpods have just the right amount of Fall flavor without being too overwhelming. If I'm craving something a little sweeter I'll add a drop or two of liquid stevia, but usually I don't need it. And then I top it off with a sprinkling of pumpkin pie spice (I use the one from Trader Joe's). One cup of my pumpkin spice coffee is about 12 calories, one gram of fat, and zero grams of sugar. Since I usually have more than one cup — which is just a measly eight ounces and who can survive on just eight ounces of coffee in the morning? — I typically consume about 25 calories, two grams of fat, and zero grams of sugar in my morning Fall coffee. And since I'm a ride-or-die iced coffee fan, I typically drink it cold, even in chilly temps. 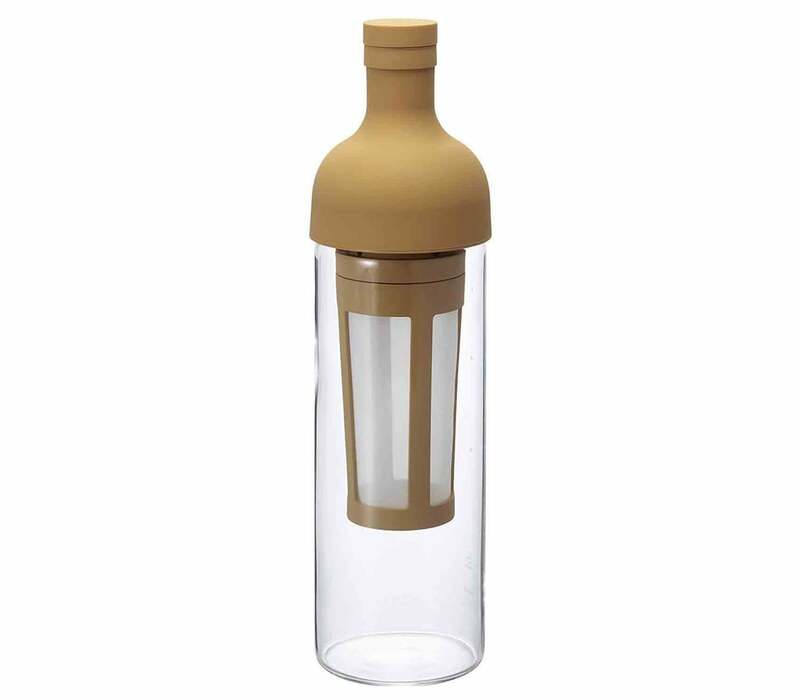 I use the coffee grounds in my Hario Cold Brew Coffee Wine Bottle ($23 on Amazon) to steep overnight, then add my Nutpods creamer and pumpkin spice the next morning. 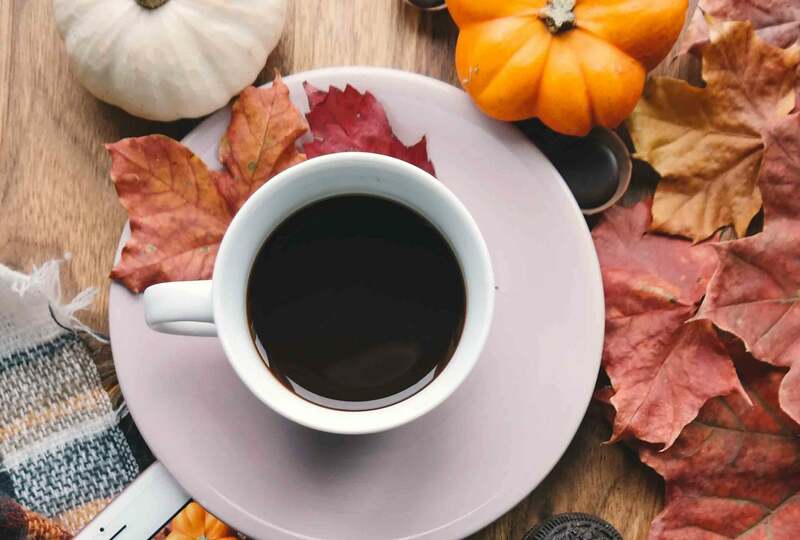 If you're craving a Fall coffee with a fraction of the calories and no sugar, try making this concoction at home. It pairs nicely with a blanket scarf and puffy vest.